I was in the shower the other morning when Katie came in to show me a letter she had written to Tigger, from the Winnie the Pooh stories by A A Milne. 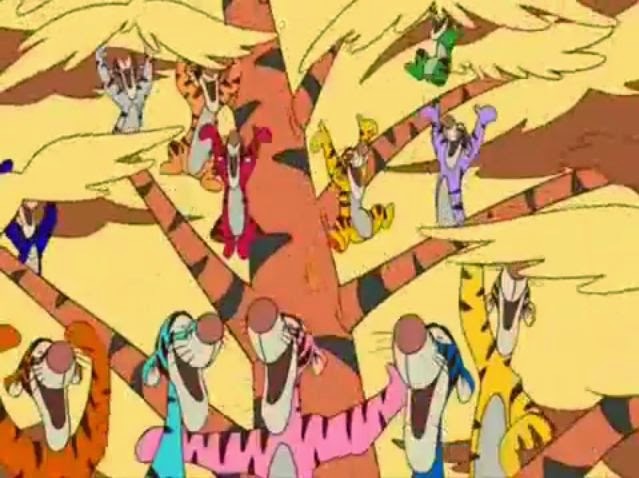 We had been reading the story of Tigger and his family tree the evening before. In the story Tigger feels sad that he doesn't have an album of family photographs and goes in search of the people who look like him because he feels he is the only one of the gang who doesn't have photographs of his family. There is some confusion created because he thinks he has to look in the trees to discover his family tree. 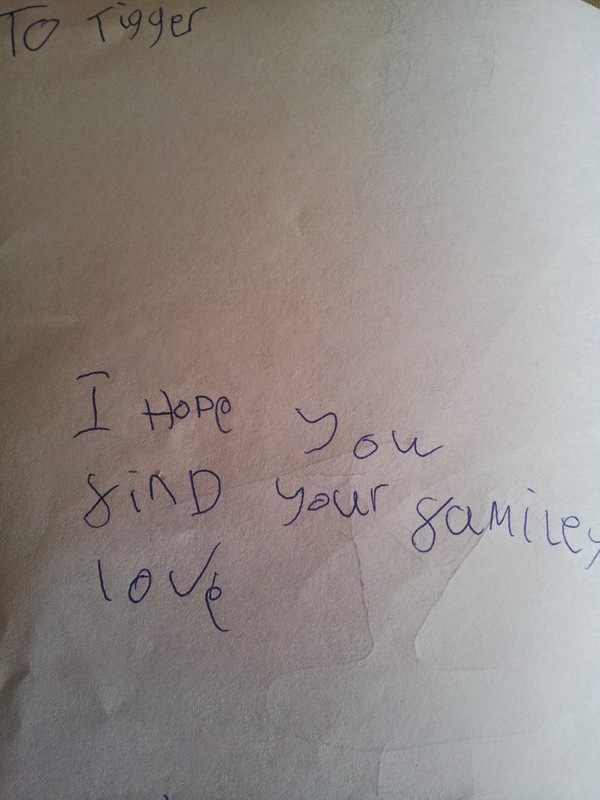 Tigger's friends worry about him whilst he's gone and when he returns, feeling sad, without having found his family, they write him a letter pretending to be from his family to say hello. 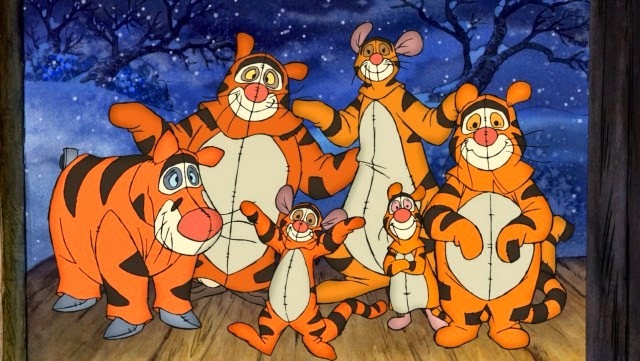 Tigger anounces this means that his family are coming to visit and Winnie the Pooh; Eeyore, Piglet, Kanga and Roo decide to dress up in Tigger suits and pretend to be his family. The ruse is soon discovered and Tigger realises that his true family are his wonderful friends who live with him in Hundred Acre Wood. It was a bedtime story that I have read many times and didn't give much additional thought to until Katie read me her letter. Katie had obviously been thinking about the story and felt some empathy towards Tigger and his lost family. I wondered if this was just empathy or, as is often the case with empathy, it had struck a seed of similarity within Katie. Was she simply showing kindness towards Tigger or was she expressing an inner need within herself? I responded, as best I could in the circumstances baring in mind I was in the middle of washing my hair with the shower water running over me, by commenting on how lovely the letter and her writing were and how thoughtful she was. I then asked her if she remembered how the story ended. She remembered Tigger's friends dressing up as Tiggers so they could look like him and we talked about how Tigger hadn't realised that his family was right there with him all along and even if they didn't look like him they were still his family. Katie seemed very happy with this and skipped off to do something else and discarded her letter. It's actually since occurred to me that only Roo and Kanga are birth family within the books anyway, but I could be accused of overthinking this whole thing although I am suddenly seeing the books in a whole new light. As I finished my shower I pondered on the reasons why this story might have resonated with Katie. The similarities within the story to adoption don't need explaining but one thing I did realise is that I am unlikely to ever hear my children comment on things like this without wondering if they are expressing their own inner need regarding their birth family. There can be no innocence in what they say for me in all honesty. In reality, for all I know, Katie might have simply just shown some of the first signs of proper empathy she has shown since she was about 4 years old. It might just be that her ability to feel another person's emotions has started to develop. It might be the shared link in the story that has triggered that in her but she may have given it no deeper thought than that. She certainly hasn't started any conversations about her birth family as a result of reading the book and she generally speaks her mind and asks questions when she's worried about something. I decided not to ask her any further questions because I wanted to preserve her own interpretation of the story and not colour that with the direction my thoughts took.